04/2019 Interdisciplinary Challenges in Non-Equilibrium Physics going at full steam! 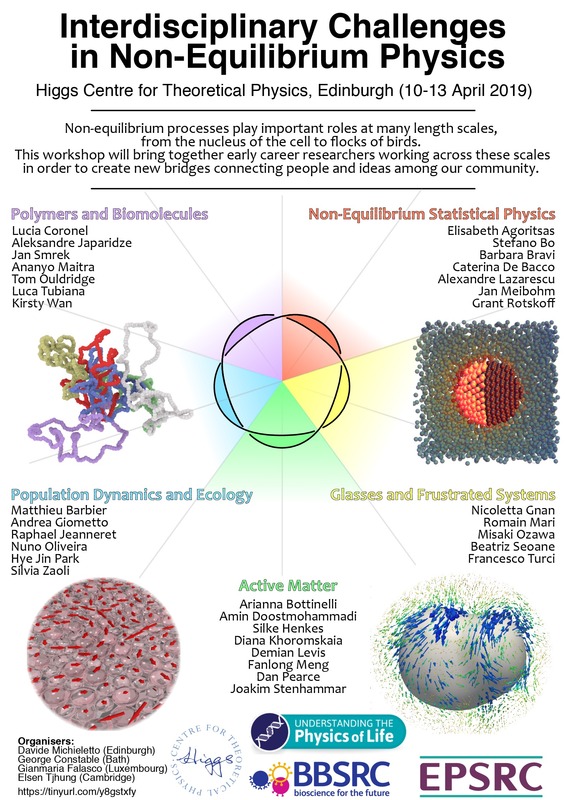 11/2018 With the support of the Higgs Centre, the Physics of Life and the Emergence and Physics Far From Equilibrium Networks George Constable (Bath), Gianmaria Falasco (Luxembourg), Elsen Tjhung (Cambridge) and I will be hosting an "Interdisciplinary Challenges in Non-Equilibrium Physics" Workshop in Edinburgh (10-13 April 2019, LINK). 05/2018 Congratulations to Luca Tubiana and Raffaello Potestio for organising and winning a COST action on Topology. 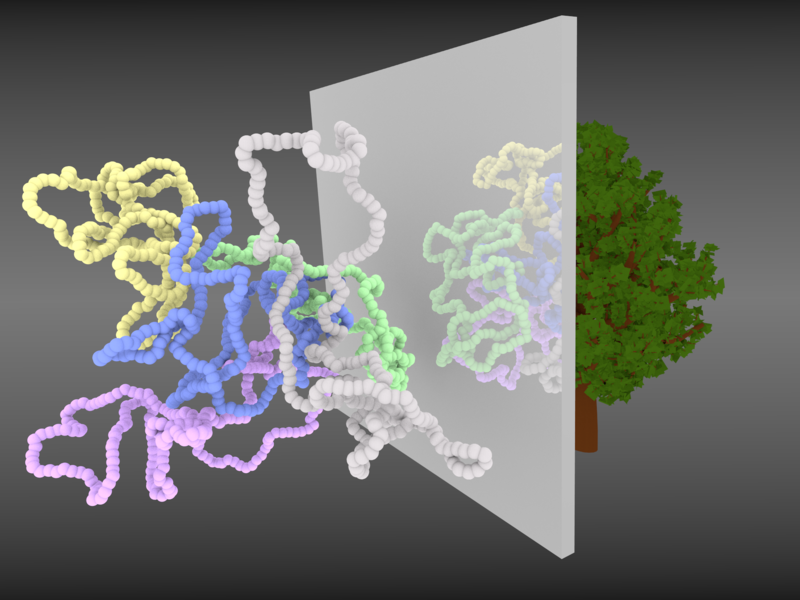 EUTOPIA will connect people working on a range of topics, from liquid crystals to chromatin! A great chance for new collaborations and projects!! 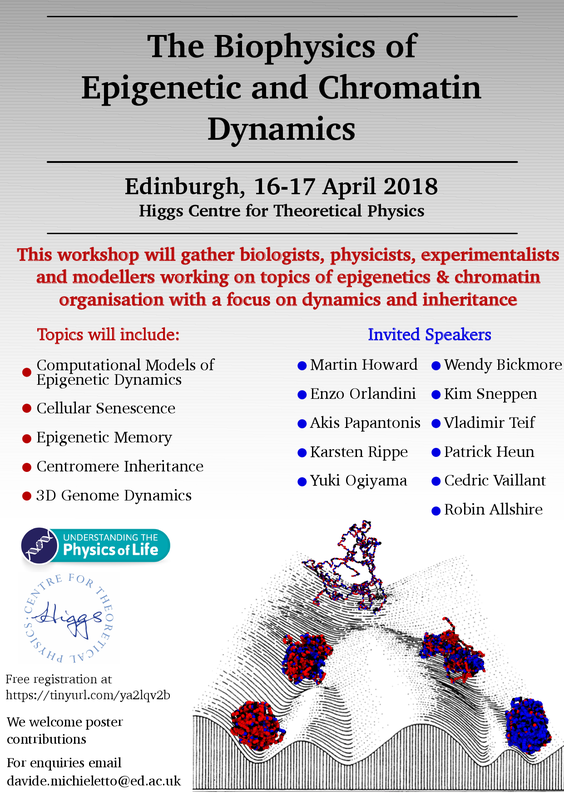 01/2018 The first workshop on the Physics of Epigenetic and Chromatin Dynamics will be held in Edinburgh 16-17 April 2018. The registration is free but only a limited number of places are available. 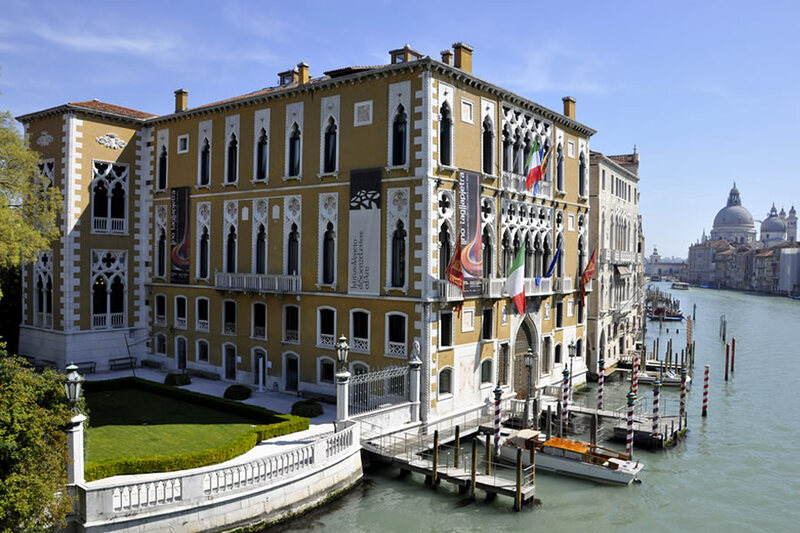 For poster abstract submission please email davide.michieletto@ed.ac.uk. 01/2018 Our recent paper on Epigenetic Memory and Genomic Bookmarking has been published in Nucleic Acids Research! 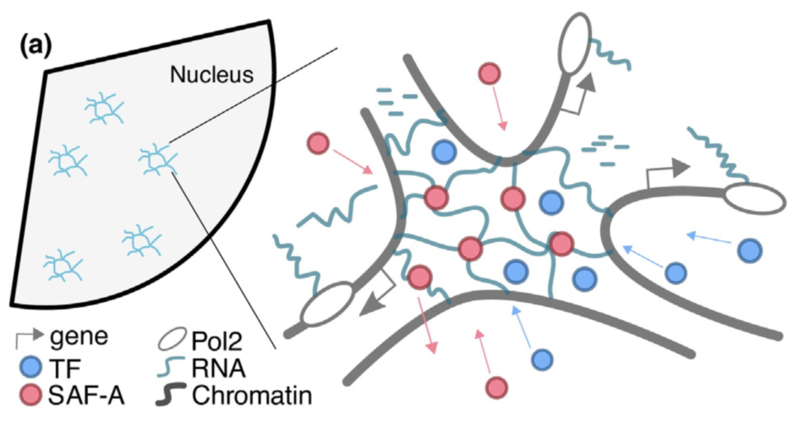 09/2017 Congratulations to Chris for his paper on Non-Equilibrium Chromosome Looping. 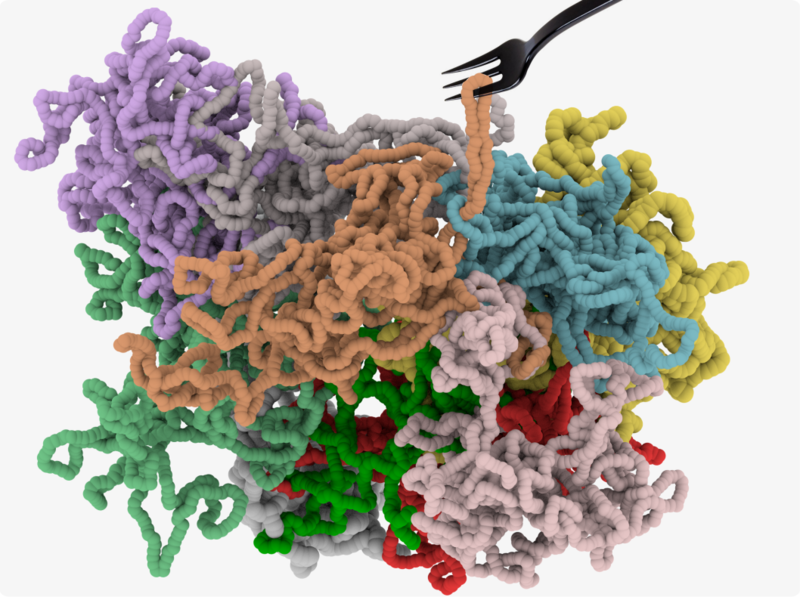 An alternative view to loop extrusion "without a motor"! Made the cover of the Sept. issue of PRL!! 12/2016 My paper on the Tree-Like Structure of Rings has been published in Soft Matter! 05/2016 Last paper of my PhD: A Topologically-Driven Glass in Ring Polymers has been published in PNAS with a News&Views in Nature Physics! 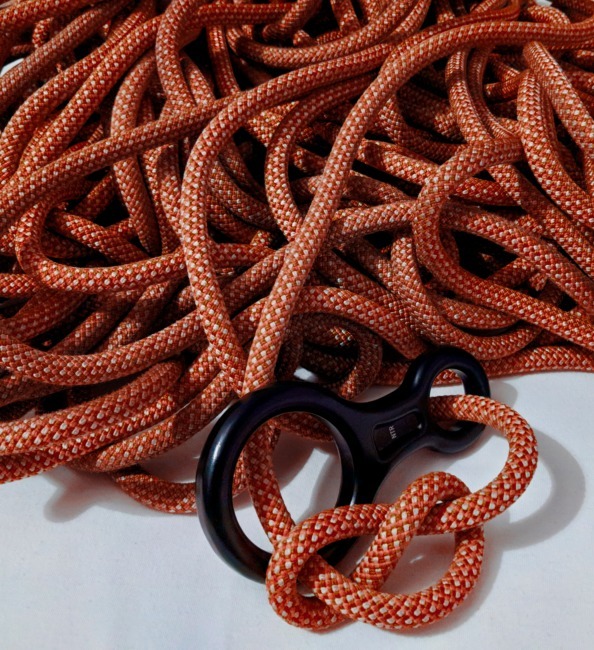 10/2015 Paper on the Topological Patterns of DNA Knots accepted in PNAS!! 12/2014 A Taste for Anelloni has been featured in the IOP magazine Physics World followed up by a new entry in the Wiktionary!